The recent publication of an English translation of Bettina Stangneth’s Eichmann Before Jerusalem: The Unexamined Life of a Mass Murderer has yielded a handful of reviews and essays, like this one, framing the book as a devastating critique of Hannah Arendt’s Eichmann in Jerusalem: A Report on the Banality of Evil. The critics seem to assume that Arendt’s thesis amounted to a denial or diminishment of Eichmann’s wickedness. Arendt’s famous formulation, “the banality of evil,” is taken to mean that Eichmann was simply a thoughtless bureaucrat thoughtlessly following orders. Based on Stangneth’s exhaustive work, they conclude that Eichmann was anything but thoughtless in his orchestration of the death of millions of Jews. Ergo, Arendt was wrong about Eichmann. 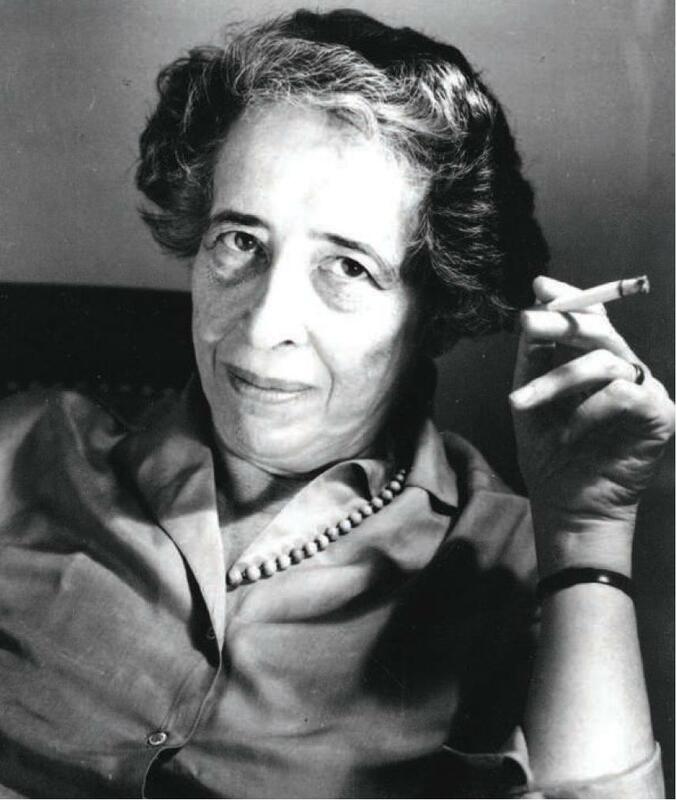 But this casual dismissal of Arendt’s argument is built on a misunderstanding of her claims. Arendt certainly believed that Eichmann’s deeds were intentional and genuinely evil. She believed he deserved to die for his crimes. She was not taken in by his performance on the witness stand in Jerusalem. She did consider him thoughtless, but thoughtlessness as she intended the word was a more complex concept than what the critics have assumed. At least two rejoinders have been published in an attempt to clarify and defend Arendt’s position. Both agree that Stangneth herself was not nearly as dismissive of Arendt as the second-hand critics, and both argue that Stangneth’s work does not undermine Arendt’s thesis, properly understood. Nowadays everything about racism, discrimination, ethnocide, genocide etc. has already been said. It seems the critics have finally figured out that the only way to appear like they’re saying anything new is not to criticize these practices, but to criticize those who criticized them before. This way they still appear enghlitened. It’s not just the “…lonely, alienated bourgeois people who live lives so devoid of higher meaning…” – if you haven’t read Eric Hoffer’s, The True Believer, you really should. It is a fascinating book. Putting my newsman’s hat on for a moment, in light of the story about ISIS/ISIL and the speechifying at the UN yesterday. Seems there are parallels to Europe in the 1930s with respect to the way that movement is attracting disaffected youth to their cause. It reminds me of the way people like Ernest Hemingway went to fight Franco’s army in the Spanish Civil war, while Hitler backed Franco.